Choosing the right yarn for your project (or project for your yarn) is usually what makes or breaks your project. When considering yarn there are several factors – weight and hook size, fibre content, yarn construction and texture. 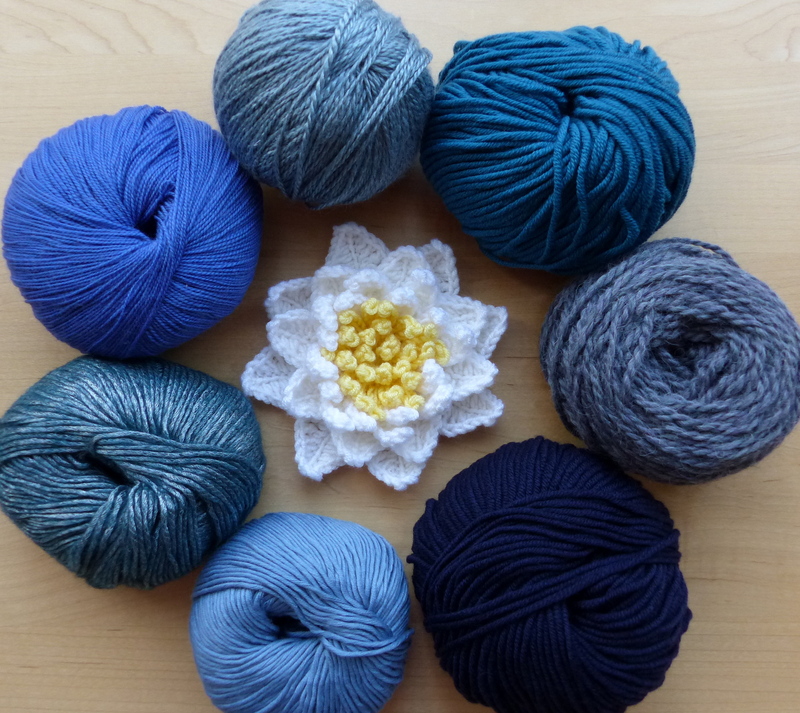 Most of us who have crocheted or knit a few projects will have an instinct for selecting an appropriate yarn weight for our project. The weight of the yarn refers to its thickness – from lace through to super chunky. Going back to the first part of this series – Stitch Pattern Selection – we could expand the chart to show that in general a project with a lacier pattern will suit a finer yarn and a project with a dense stitch pattern will suit a chunkier yarn. Having said this it is sometimes very striking to mix things up and make a lacy project (such as my Passion Flower Doily) with a chunky yarn and hook – like this awesome rug from Crochet in Paternoster. The band ball of your yarn will suggest a needle size (and usually a hook size as well). It is good to stay close to the recommendation unless you are looking to produce a particularly different fabric. 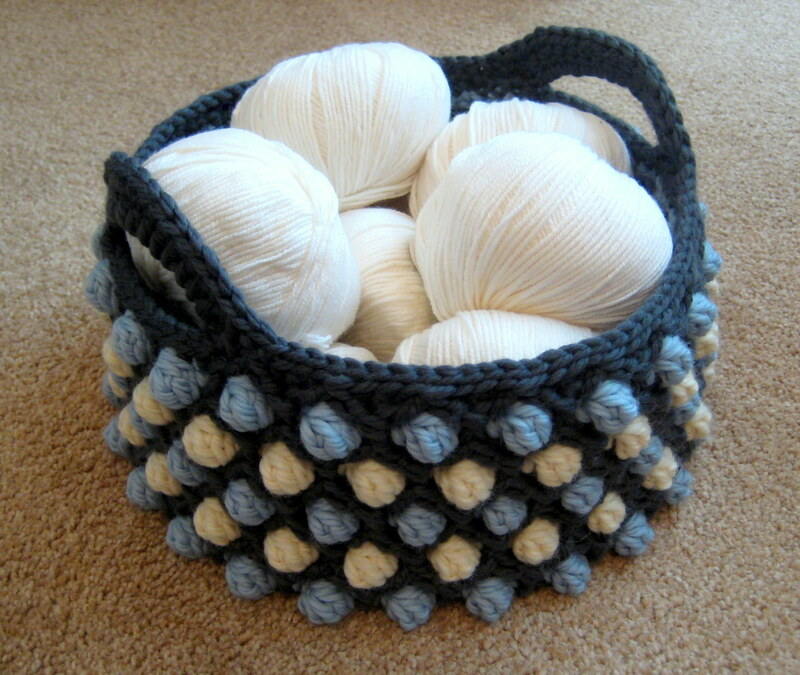 For example, to make crochet baskets, work with a hook size at least two sizes smaller than recommended one to increase the density of the fabric – the extra stiffness adds structure and holds the basket up. To make a fabric which has more drape and openness, increase the hook size. This can also make the fabric stretchier, good for fluid lightweight shawls. Most people who have crocheted or knit for a while will have a preference for a certain weight of yarn. It is tempting to stick with what you like but I suggest that matching the yarn scale to the project size will give you a happier result – if you are branching out from making afghans to baby clothes then switch down your yarn weight! The fibre composition of your yarn is both an aesthetic and practical consideration. Cashmere and silk feel awesome but are expensive and require notable aftercare. So they are not the most sensible choice for a baby blanket which will require several skeins and frequent washing. Choose an easy care option! Wool Warm, pleasant to hook with, can be felted, easy to block to shape, stretchy. Can feel itchy depending on the quality and specific wool type. Aftercare important. Decorative elements like brooches, felted bags, outer layers of clothing like jumpers. Another common construction is called chainette, where the yarn is like a narrow knitted tube (see Rowan Lima for example). 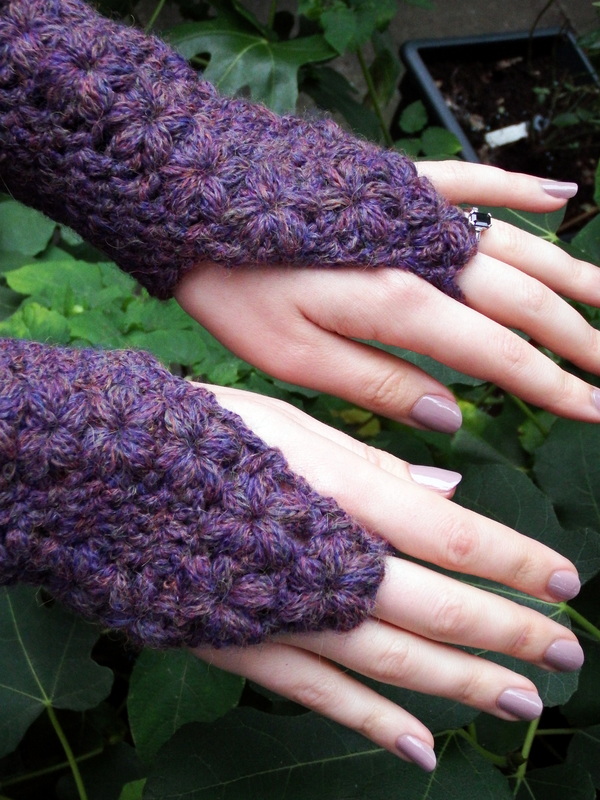 This construction type makes it easy to crochet because it avoids splitting. The yarn itself appears more dense than it is (try twisting it to see what I mean) which can add volume to a project without adding weight. Texture is added to yarn by varying its thickness or by blending colours or twisting together different types of ply (e.g. a silk ply with a wool ply). These yarns can be a little trickier to work with but add interest to your work – they are best paired with simple stitches as they disguise any fancy details but stop it from looking boring. You can choose whichever construction type you like but remember that your choice can affect the finished look of your project as well as how easily you can crochet it. The Honeycomb Pop Basket. Where can I find the pattern? Hi Becky! I’ve added a link above. You can always search for my patterns in the search box (to save you waiting for me to reply)! Hope you like it. Great post series, it’s always good to hear how other crafters work. Hi, I have a problem lining up my double crochet. Is there a special way of doing the stitch after the first row? Hi Rosanna! I’m not sure if you are referring to a particular pattern? It sounds like maybe you could do with watching some youtube tutorials for how to work double crochet. The commonest mistake is either not counting the turning chain (of 3 or 2 chains) as a stitch when the pattern directs you to, or vice versa (counting the turning chain as a stitch when the pattern does not direct you to do so). Usually the turning chain counts as a st, if the pattern does not specify. Hi and thank you for responding. My problem is not the turning chain but it’s lining up the DC on all the rows. After I finish the first row and I chain 2 or 3 whatever the pattern directs me all the other DC do not line up on the subsequent rows and I don’t understand why as I have watched may how to on YouTube Maybe you can tell me why?